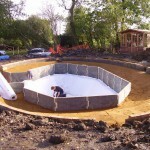 The use of a water tank cover is an integral part of a water storage system. 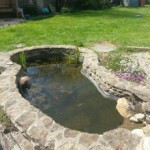 An ever present threat in the use of a water storage tank is the growth of algae in the water as a result of exposure to sunlight. Our covers are designed to prevent the growth of algae and bacteria, greatly improving overall water quality. Using a tank cover can also prevent dirt and debris from the surrounding environment entering your water tank. It is not uncommon for the unwanted introduction of dirt and debris to cause problems in a water storage system, such as clogging up outlet pipes and reducing water quality. 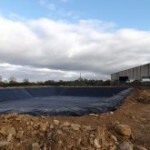 As well as reducing the likelihood of dirt and debris entering the tank, our tank covers also reduce loss of water through evaporation, a significant problem especially in the summer months when the water is needed the most! While our tank covers reduce evaporation, the material is constructed to allow water, such as rainfall, to pass through it. With the ever increasing demand for a reliable water supply, our water tank covers make sound commercial and environmental sense. For more information, or to request a quote, please contact us today.